Set against the backdrop of the stunning Tsitsikamma Mountains, Plettenberg Bay is a pretty town (about 6 hours away from Cape Town) located on the border of the Western and Eastern Cape. Most of the town is on a steep slope leading down to the sea. As such, wherever you stroll to in this town, you are sure to lay your eyes on spectacular views of the bay, surrounding hills and mountains. Fondly known as “Plett”, Plettenberg Bay has very mild weather conditions throughout the year, which makes it an all-year round favourite destination! The biggest highlight of Plettenberg Bay is the scenery and beautiful views of the pristine lagoons and beaches. Apart from these world class surroundings, Plettenberg Bay offers a surprising array of activities. Swimming with seals, whale safaris, wine routes, big five game viewing, elephant rides, birding, hiking, paddling the river - all these are accessible in Plettenberg Bay. Accommodation facilities are easily available in this region - from Five Star hotels, boutique guest houses, bed & breakfasts and self-catering lodges to outstanding game lodges, Plettenberg Bay can accommodate every traveller. This is an ideal destination for young and old, families and couples. Visitors who return to Plettenberg Bay, come to unwind, or simply relax and go back with a rejuvenating feeling. Plattenberg Bay is one of the prime destination in South Africa and, has over the years evolved into a pleasure seeker hotspot. It offers a multitude of leisure activities to its visitors. With long stretches of pristine beaches to choose from, it is no surprise that lazing on the beach is so popular among the visitors. Holiday-makers can choose from swimming and water sports in the warm and gentle waters of the Indian Ocean. 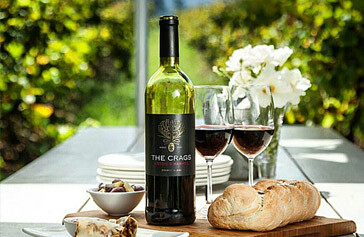 It was only in 2000 that wine grapes were introduced at Bramon Wine Estate in the Crags, at only 10 minutes away from Central Plett. The local climate and soil conditions were found to be perfect to grow grapes and now there are currently 16 vineyards in Plettenberg Bay. These vineyards are found at the foot of the Tsitsikamma Mountains, on the edge of indigenous forests and overlook sweeping views of the Indian Ocean. These picturesque vineyards and wine farms beckon everyone for a visit. Tours of these vineyards are strictly by appointment. They can be organised with a registered tour operator, which will take you to one or several of these vineyards. Wine tasting, dining among the vines, wine and food pairing - these are some highlights of the visit to the vine yards. 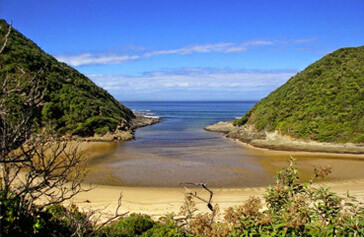 Robberg Nature Reserve is found on the Garden Route, about 8km south of Plettenberg Bay. Incredible scenery, beautiful vistas of the sea and shoreline, a huge diversity of bird life and fybnos unique to the Cape - Robberg Nature Reserve offers them all. It is not only a nature reserve, but also a national monument. In fact, there are rocks from this region which actually date back to 120 million years to the break-up of Gondwanaland. Also, Stone Age inhabitation has been found in a few of the caves along the peninsula. Visit the Nelson Bay Cave interpretive centre to find more about it. While visiting the Robberg Nature Reserve, you can even spot the rare blue duiker, the Western Cape’s smallest antelope. You can also walk alongside one of the seven climbing-falling dunes on the Cape coastline and view the highest navigational light on the South African coastline, at the Cape Seal Lighthouse (146m above sea level). The reserve also extends 1.8 km offshore and provides protection to a range of vulnerable fish species. Visitors can expect awe-inspiring landscapes, exciting dolphin and whale sightings in season, and bird species to accompany them during their walks and occasional seals from time to time. An overnight hut is available for those who want to spend more time on this beautiful reserve. Just off the N2 National Highway, at the end of the R102 lies Nature's Valley – the only village in South Africa located within a National Park. This tranquil corner of South Africa on Garden Route boasts stunning wildlife, untamed coastline and you will be surprised to scarcely find a soul in sight. Wind your way down the scenic pass to Nature’s Valley passing giant Yellowwood trees and every now and then get a glimpse of the ocean. There are several spots to explore the estuary on the left, and right at the end. Take a walk to Sinker Bay and then further on to the beautiful Salt River Mouth where the Salt River opens to the sea. Promising a once-in-a-lifetime experience, Plettenberg Bay Game Reserve is the biggest game reserve in the Southern Cape. It extends to over 2200 hectares across the hills above the picturesque Garden Route coastline. With its spectacular views across Plett, abundance of wildlife, impressive facilities for day and overnight visitors and warm African hospitality, it offers an exciting child-friendly safari experience in a non-malaria area with an excellent chance of spotting three of Africa’s Big Five - buffalo, lion and rhino. The Plettenberg Bay Game Reserve is home to more than 101 different bird species. Besides, there are over 35 species of game, including lion, rhino, giraffe, hippo, crocodiles, buffalo and a large variety of antelope which roam freely in their natural habitat. It is also the biggest sanctuary in the area for the endangered white rhino. At the Plettenberg Bay Game Reserve, the friendly and professional trained game-rangers and professional guides are passionate about sharing their vast knowledge of the local fauna and flora. The unique Monkeyland Primate Sanctuary is the world's first free roaming multi-specie primate sanctuary. It caters for several species of primate, they are not caged but are rather free to move about the forest in a perfect harmony. The Monkeyland Primate Sanctuary is a modern primate sanctuary established in a pristine natural high canopy forest which is well suited to those primates fortunate enough to live there. Monkey safaris are organised at the sanctuary and are conducted by enthusiastic rangers. The safaris which are fun and exciting, are also educational and generally result in guests leaving the sanctuary with a whole new focus on the primates of the world and the problems they are facing. You can even have lunch in the forest - accompanied by the primates. Entrance to Monkeyland is free, however there is a fee for the guided safaris. 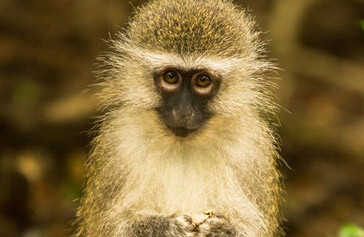 A visit to this monkey kingdom is a must for every local resident of, and visitor to The Garden Route. The Plettenberg region is certainly home to some of the finest collection of hiking trails in the world. Here, the coastal platform narrows on the Garden Route and brings the mountains closer to the sea. Deep and ancient river gorges, evergreen forests, colourful fynbos, and spectacular stretches of coastline - these provide an idyllic location for hiking enthusiasts. Like other numerous coastal areas in South Africa, Plattenberg Bay also enjoys abundant marine life and is one of the best places in the country to see whales, dolphins and seals. Several marine tours are organised in Plettenberg Bay for dolphins and seals and whale-watching. Boat trips are offered throughout the year to view the Cape Fur Seal colony on the Robberg peninsula, Bottlenose dolphins, Common dolphins, a small population of rare Humpback dolphins, resident Bryde’s whales and other marine life, including sharks and seabirds. The Whale Season between late May and November is the period where you will delight in coming really close to the marvellous creatures. Looking closer, Plett is like a small piece of the Cape Peninsula cut away from the routine life and found along a discrete piece of beautiful coastline. One clue as to Plettenberg Bay’s abundance is in the different area classifications; on either side of Plett are places with names like ‘Wilderness’, ‘Nature’s Valley’, Storm’s River’ and ‘Tsitsikamma’ (place of abundant sparkling water). This gives an almost magical ambiance to the region as all the treasures of Plattenberg are available to those travellers lucky enough to have it all to themselves. It really is a wonderful feeling to come here to relax and rejuvenate.